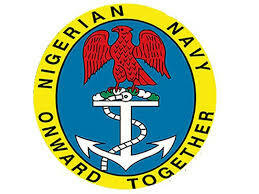 A former Director of Navy Accounts, Rear Admiral, Tahir Yusf (retd. ), has temporarily forfeited N510m to the Economic and Financial Crimes Commission. The accounts include Bitmas Enterprises domiciled in Zenith Bank and Tahir Yusuf domiciled in Skye Bank. The sum, which is in naira, dollars and pounds, totalled N510m. Justice Ijeoma Ojukwu of a Federal High Court sitting in Abuja granted the interim forfeiture order after a motion was filed by Mrs Elizabeth Alabi on behalf of the EFCC. The court had in February granted an ex parte motion filed by the commission seeking the freezing of the seven accounts. The EFCC approached the court again in November seeking the permanent forfeiture of the funds which was allegedly stolen from the Nigerian Navy. Granting the prayers of the EFCC, the court said that the order be published in a national newspaper and on the website of the commission. She adjourned till November 28 for further proceedings.